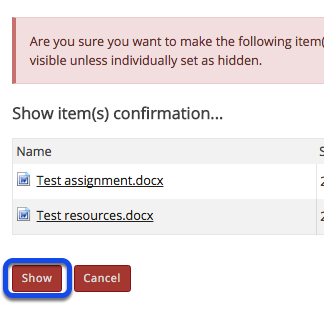 Instructor User Guide ResourcesHow do I unhide files or folders? There are 2 methods Instructors can use to un-hide (show) files or folders. 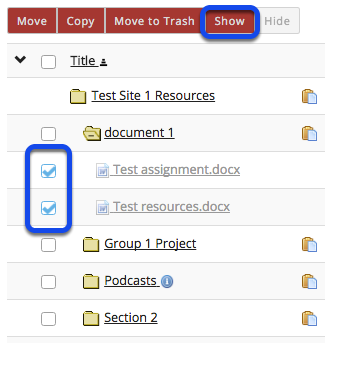 Method 1: Select the file(s) or folder(s), then click Show. This displays the Show Items Confirmation page. Click Show again to confirm. 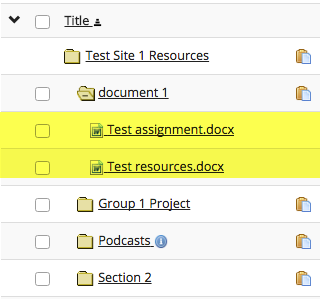 This returns the display to the Resources page with the selected items available. 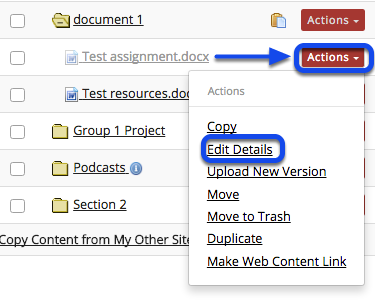 To unhide a file or folder, to the right of the file or folder, from the Actions drop-down menu, select Edit Details. Select Show this item, then click Update. Under Availability and Access, select Show this item, then click Update. 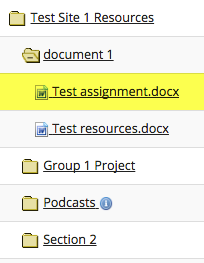 This returns the display to the Resources page with the selected item available. Prev: How do I hide files and folders? 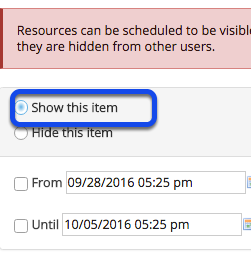 Next: How do I set the display of a Resources item to a specific time period?